Alice Cooper, a seminal figure in rock and roll whose compelling stage presence has made him a must-see for five decades, has been cast as the flamboyant King Herod in NBC's staged rock concert of Jesus Christ Superstar Live in Concert Also joining the production is five-time Tony-nominated theater director David Leveaux. The previously announced event will air on Easter Sunday, April 1, 2018. 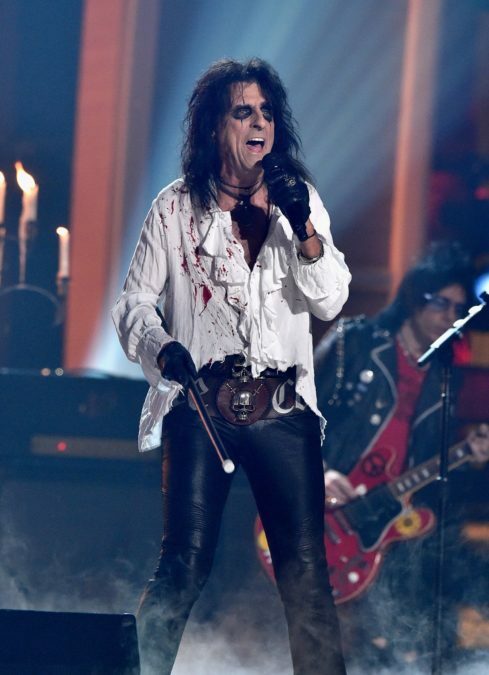 "Alice Cooper, whose theatricality is the stuff of legend, is the perfect rock star to play Herod in our live production," said Robert Greenblatt, chairman, NBC Entertainment. "Andrew Lloyd Webber and Tim Rice wrote a showstopping musical number for Herod and we all look forward to the 'King of Shock Rock' taking on the King of Judea. As the casting for Superstar ramps up, we can feel the excitement building for this brand-new concert experience of what has long been considered the original rock musical." Cooper has released 26 studio albums over his career, with nine reaching platinum or gold status. Two of his most popular albums, "Billion Dollar Babies" (1973) and "School's Out" (1972), reached #1 and #2, respectively, on the Billboard Albums chart. His latest album, "Paranormal," was released in mid-2017. In December 2017, Cooper concluded his world concert tour covering more than 100 shows on five continents. He recorded "King Herod’s Song" at the request of Lloyd Webber and Rice for the 2000 release of a cast album from the 1996 production of "Jesus Christ Superstar" in the U.K.
Leveaux, who has worked with the Royal Shakespeare Company, Almeida Theatre and Donmar Warehouse in London's Covent Garden, has directed 10 plays and two musicals for Broadway. In addition to his Tony nomination for Best Direction of a Musical for Nine (2003), Leveaux has been nominated for Best Director of a Play four times: A Moon for the Misbegotten (1984), Anna Christie (1993), The Real Thing (2000) and Jumpers (2004). Jesus Christ Superstar is based on the final week of Jesus' life. The 1971 musical opened at the Mark Hellinger Theatre on Broadway and was nominated for five Tonys. Since then, the musical has been considered a classic and has become a staple of theater and music organizations throughout the world. A film adaptation was released in 1973.